Tilbrook Interiors Kitchen and Bathroom Specialist. 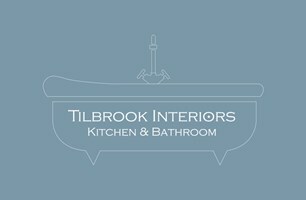 At Tilbrook Interiors, Newark on Trent, we provide outstanding customer service, designing, project managing and installing dream kitchens and bathrooms & bedrooms. We strive to ensure a stress-free and enjoyable experience to customers across Nottinghamshire, Rutland, Leicestershire and Lincolnshire. With over 30 years working with the most discerning of clients from Newark on Trent, Retford, Grantham, Mansfield, Lincoln and surrounding areas we can help you to select the perfect kitchen or bathroom to match your lifestyle and budget. Attention to detail is at the heart of what we do and understanding your kitchen & bathroom requirements. Our staff at Tilbrook Interiors will help you choose the appropriate style of fittings and finishes for your fitted kitchen or fitted bathroom. We work with leading kitchen & bathroom suppliers whose design reflects changing fashions and lifestyle be it cutting edge, contemporary or classic design. For new build kitchen & bathroom projects, we will work from architects plans or builders drawings and create a proposed layout for your review. Newark & District. Grantham. Retford. Lincoln. Southwell. Bingham. Vale of Belvoir.